Sell Your Phone System.Com" is a subsidiary of Craig Communications. Our parent company sells phone systems, phones and components and we buy them. This site was developed to help streamline the process of selling a phone system a make it a better customer experience. We make selling a telephone system very easy with our representatives helping you every step of the way. Our Purchasing agents are very quick and knowledgeable on what type of equipment, circuit cards or system you are trying to sell. All we ask is that you get us a detailed inventory list. Click Here to Start the Process. Why are we buying phone systems? Our Parent Company, Craig Communications was one of the first companies in 1997 to bring this business model to the World Wide Web! Back then it was the same process as today. Businesses are looking for a source to sell their older telephone system to help reduce costs that are usually associated with that process and to help with 2 questions that we always get asked- Who buys phone systems and how do I sell my phone system? What we do is buy your old telephones, components and systems and either use them for parts or repair/refurbish them to resell to customers that are currently using these systems in their businesses, offices and homes. We receive the equipment and each phone and component is completely taken apart, repaired (if needed), sanitized and brought back to manufactures specifications. The newly refurbished phones and phone systems are then sold through our Parent Company. Much of what we buy gets used for parts as well. We purchase all Telephone Equipment in any quantity. Whether you have 10 phones or 1000, we appreciate the opportunity to give you an honest bid and also pay for the shipping! We are located on the West coast of the United States (Southern California) and The East Coast, (Tampa Bay, Florida). We DO NOT buy Home Phones or Cell Phones. 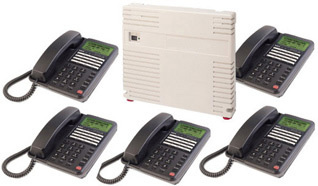 We only buy Business Telephone Systems, Components and Phones. Allworx, Avaya, Cisco, Comdial, ESI, Intertel, Iwatsu, Mitel, NEC, Norstar, Nortel, Panasonic (no home phones), Polycom, Samsung, ShoreTel, Toshiba, Vertical, Vodavi and YeaLink. If you need to reach us for any questions, please call us at 800-306-3377. If you get our voice mail, that means that all representatives are busy at the time with an existing client or a future happy customer and will get back to ASAP. You can Contact us here or Click Here to Email us. If you accept our offer and terms, a disclosure is emailed to you to read and sign and email back to us. Once we receive the signed disclosure, we then can email you a PO and shipping instructions. Make sure the equipment is packed tight and not moving around inside box. You can use newspaper or bubble wrap. When packing the phones, make sure the displays and buttons are not facing the outside of the box where Drivers can kick the boxes and break the displays.